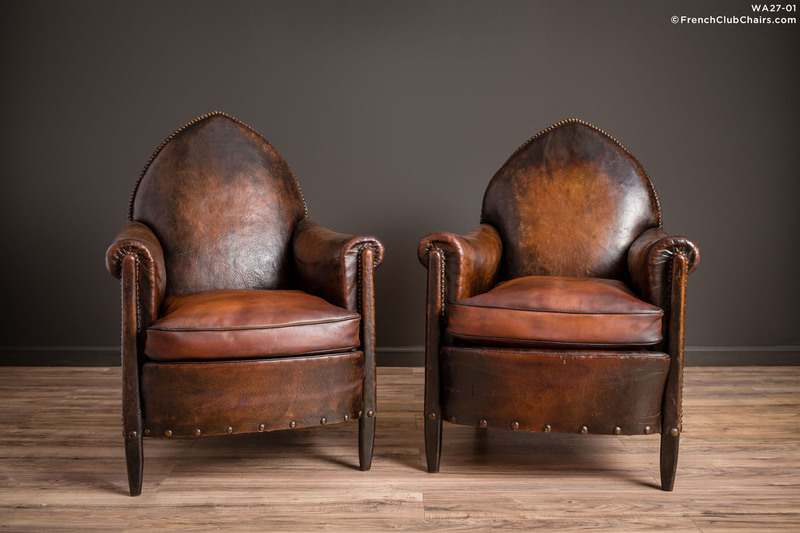 This pair is almost Gothic -Steepleback, nailedhead beauties are simply stunning in person. Good seat depth and taller than usual seat height attract everyone. They have some age appropriate wear on the arms and restored french sheephide cushions. Circa 1930s. measurements: depth-34", width-28", height-40", seat depth-21", seat width-16", seat height-17"